Stop Procrastinating: How to Stop Procrastinating today. Stop procrastinating – that is the goal here, though many people find it incredibly tough to do so. Procrastination is the action of delaying or postponing something. You hesitate, you dither, you stall and you end up avoiding a task that needs to be accomplished. It is sometimes a delay in starting or finishing a task even when there is a potential or actual negative consequence. When we procrastinate, we usually end up focusing on something less urgent, more enjoyable and easier. Whether done consciously or unconsciously, procrastination is a habit that many people struggle with. There is always something more interesting to do than getting the actual job done. From tweeting and checking Facebook to engaging in non-constructive actions that pass the time, to allowing oneself to be easily distracted, the reasons why people procrastinate are many. No matter what your reasons are, procrastination does adversely affect your quality of life, your productivity, potential success and achievement. Avoiding or overcoming this killer habit is one of the best ways to ensure that you get more beneficial and rewarding work done and ensuring more successful achievement of goals and desired outcomes in the long run. 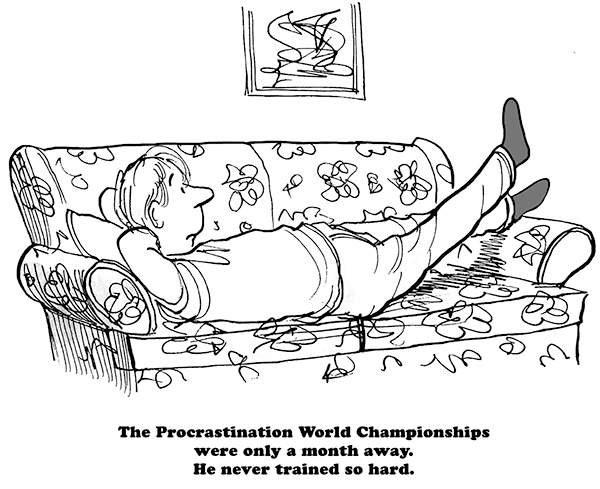 All in all, it serves us all well to know how to stop procrastinating. A study published by a team of researchers this year in Psychological Science suggests procrastination is more about managing emotions than time. Erhan Genç, one of the study authors, based at Ruhr University Bochum states; “Individuals with a larger amygdala may be more anxious about the negative consequences of an action – they tend to hesitate and put off things“. This is supported by Professor Tim Pychyl, from Carleton University, who has been studying procrastination for the past few decades, who also suggests procrastination is a problem with managing emotions (rather than time), he says this about the latest (afore mentioned) study, “This study provides physiological evidence of the problem procrastinators have with emotional control“. Dr Pychyl is optimistic about the potential for change and within his work has shown that changing the brain was possible. Dr Caroline Schluter, the lead author of the 2018 study, went on to say: “The brain is very responsive and can change throughout the lifespan.” So how do we do that? How do we stop procrastinating? How can we change our brain in this way? Here are a number of ways to stop procrastinating…. “Procrastination is the fear of success. People procrastinate because they are afraid of the success that they know will result if they move ahead now. Because success is heavy, carries a responsibility with it, it is much easier to procrastinate and live on the “someday I’ll” philosophy.” – Denis Waitley. Procrastination is a weakness that affects many people. Your first step should be dealing with it. The next step is to objectively reflect and analyse the reasons behind it. There are several reasons that combine and cause a person to postpone tasks. These include when the task is too overwhelming, when there is fear of getting it wrong, when there is fear of making big decisions before partaking in the task, when there is a lack of motivation to complete the task, when the task is an unpleasant one and when not doing the task has no impact (or does not create much pain). “Nothing is so fatiguing as the eternal hanging on of an uncompleted task” – William James. I’ve used this quote a number of times here on the blog; it is really important to consider the larger ramifications of not completing important tasks. Think of what not doing a particular task on time or failing to do it entirely will result in. What are the wider consequences of not doing this thing? Doing the tasks expected of you at the right time helps you verify your role as well. Bear this in mind and play out the scenario in your mind. If the problem is that you do not have the motivation to complete the task, come up with your own personal goals to motivate you. Pressure (healthy levels) from someone is also a great source of motivation. Creating deadlines or having peers reminding you to complete tasks also helps to motivate you to act against procrastination. Get accountable. a) How To Keep Yourself Motivated. b) How to Motivate Yourself to Take Action. c) Using Self-Hypnosis For Enhanced Motivation To Exercise. d) My Top Ten Motivational Quotes, And Why. “Do the hard jobs first. The easy jobs will take care of themselves.” – Dale Carnegie. At the beginning of each day, schedule your activities and strive to complete each task at the stipulated time. When you are doing your planning, arrange your tasks in the order of priority so you do not dwell on minor activities while more important ones remain undone. Also, allocate each task a suitable portion of time. If this is not done, the tasks that you enjoy doing will get done while those challenging ones are being kept at bay. There are those tasks that are so overwhelming that they will make you feel worn out and lazy to even start working on them. The best way to deal with these is to break them into smaller tasks. If you can work on these small activities one at a time, within no time you will have everything done. The big goals you have in life may just need some consistent action and productive steps being taken regularly. a) The Principles Of Goal Setting. b) Goal Setting For Running, Exercising Or Sports. c) Creating Your Own Goal Setting System. “In a moment of decision, the best thing you can do is the right thing to do, the next best thing is the wrong thing, and the worst thing you can do is nothing.” – Theodore Roosevelt. If you are scared of starting on a task or do not know how to go about it, just take the plunge and do it. It is when you start and even when you make mistakes that you learn how to best go about a certain task. In case of any mistakes, you can always make corrections. For example, I tell many of my clients to set themselves targets and goals that are more likely to make a goal happen – instead of having a goal to go out on an early morning run, it can often be more useful to set the goal of getting up on time and changing into your running gear. Once that gear and running shoes is on, you are much more likely to go for that run and you had less opportunity to distract or dissuade yourself from it. Simple actions help you stop procrastinating. Do you work better after a cup of coffee? What about when you’re listening to music? Not everyone reaches their most productive state the same way. Find out what makes you the most productive and roll with it. Encourage productivity and procrastination avoidance by completing your most challenging tasks during that time. When you create momentum, it helps you stop procrastinating. In the face of procrastination, you also need accountability; as I alluded to earlier on here. Think back on something you held yourself 100% accountable for getting done and you fully showed up for it. What was it that kept you accountable? Maybe you had told the people who support you that you would do it. Or perhaps you set a loud notification on your phone that reminded you to get somewhere on time. How else can you get accountability in your life? You can work with a life coach, nutrition coach, health coach or another type of coach and have them hold you accountable for your goals. In fact, it’s what coaches are trained to do. As a free option, you can find an accountability buddy among your circle of friends and acquaintances. Get a friend who’s on board with goal setting and establish a relationship where each of you routinely checks in on the other’s progress. Share the milestones you hit, as well as challenges you face. According to Caroline Webb in the Harvard Business Review, sharing your goals with a partner can create a system where you have a cheerleader and walking living reminder to stop procrastinating. In fact, according to Webb’s research, experts have found that we instinctively want to be respected by peers, and are more likely to reach our goals this way. Here is a great article I recommend you read on enhancing productivity, I swear by this stuff: How To Be Incredibly Productive: 10 Keys to Productivity. If you wish to stop procrastinating, then start to employ the processes and attitudes laid out here and you’ll start changing your brain in the way researchers have demonstrated can be done. 1. Do you need help or support in a particular area of your life? Need to stop procrastinating? Likewise, if you’d like to learn more about self-hypnosis, understand the evidence based principles of it from a scientific perspective and learn how to apply it to many areas of your life while having fun and in a safe environment and have the opportunity to test everything you learn, then come and join me for my one day seminar which does all that and more, have a read here: The Science of Self-Hypnosis Seminar. 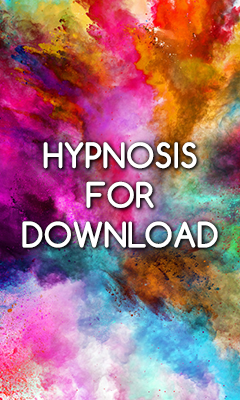 Alternatively, go grab a copy of my Science of self-hypnosis book. It’ll help you stop procrastinating.